If there’s no fool like an old fool– and I appear intent on proving that point– then there is no ride like an old and distant one. 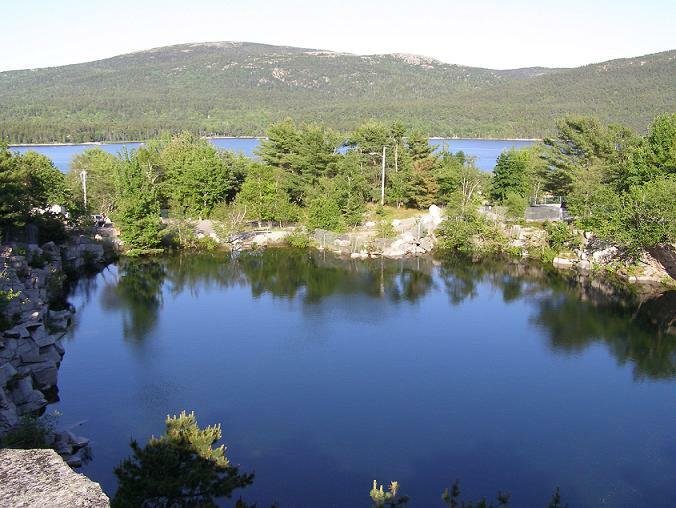 The geological attribute of North America known as Mount Desert Island is an ancient protuberance of the seabed, heaved up eons ago by the birth throes of Planet Earth. It adorns the coast of central Maine, well north of Portland but south of those remote and romantic outposts with names like Caribou and Presque Isle. The island is home to the absurdly picturesque Bar Harbor. The quaint and charming town of Bar Harbor, jutting out into Frenchman’s Bay. As seen here from atop 1500-foot Cadillac Mountain on Mount Desert Island. The heritage and tradition of ships under sail is alive and well in Bar Harbor. MDI is also the hinge pin for the arc of painfully beautiful, seaside landscape that is the Acadia National Park. It is an area that wears on its face the signs of its volcanic beginnings and its recurrent ages of glacial erosion. The park emcompasses more than just the island. Wild and windblown Schoodic Peninsula, to the north across Frenchman’s Bay, forms the upper boundary. And the southern extreme is the even wilder and more remote, offshore bastion of Isle Au Haut. My wife is no stranger to this sensory wonderland. She was born not far from one of those aforementioned northern enclaves, and our relationship blossomed twenty years ago just a little farther south, in Bangor. Delcia’s roots endure in Maine, her French-Canadian heritage clinging tenaciously to a foothold in the shale- and granite-laced soil of the region. She has family there and a spiritual connection to the place. 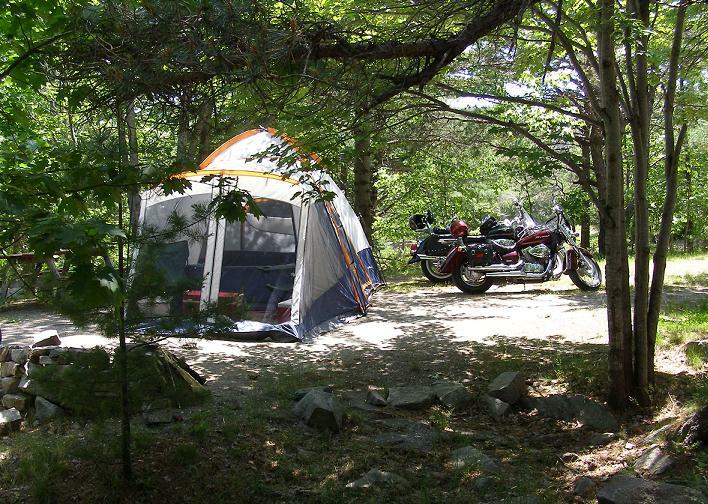 So, in early 2009, when we decided to take a first motorcycle vacation, the attraction of Mount Desert Island was immediate and irresistible. And the destination was blessed with easily accessible stops along the way to visit with my daughters and grandchildren in Massachusetts and Delcia’s mother in Southern Maine. Our plan, you might recall, was for a camping vacation, and this stop confirmed the genius of that decision. We pitched our tent along the shore of the only authentic fjord on the U.S. east coast. We were just steps from the geologically spectacular Somes Sound, from which blew a fresh, cool breeze by day that turned to a sleep-inducing chill at night, accompanied by the calls of loons. Quarry pond and home of the loons. Those mournful sounding birds were our seldom seen companions for the duration of our visit. They inhabited a pond formed by an abandoned quarry just opposite our tentsite. Beyond that, Somes Sound sparkled in the distance. 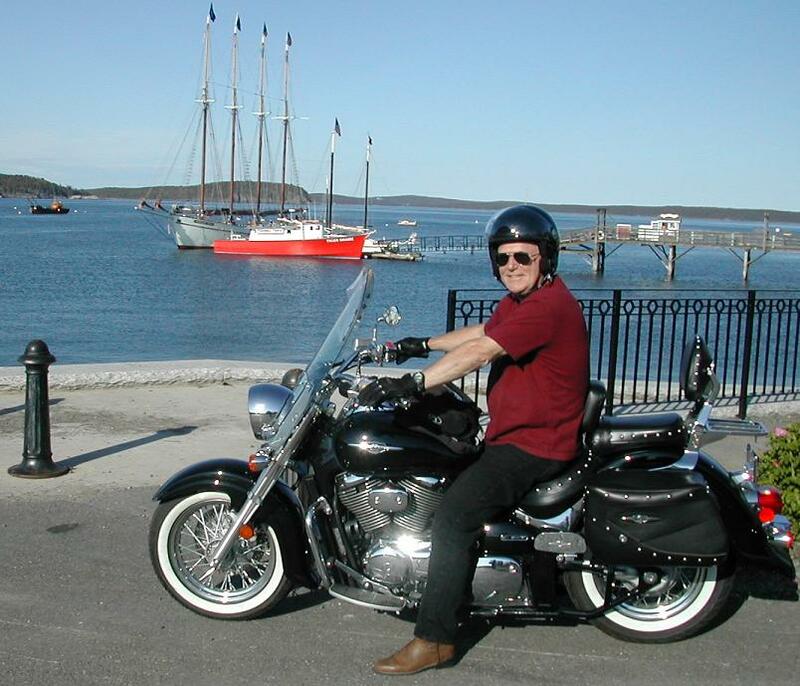 And from this charming site we rode hilly and winding roads to visit Bar Harbor, Southwest Harbor, and Northeast Harbor, as well as the eye-pleasing vistas to be seen from the top of Cadillac Mountain at the high, stony center of the island. Our days and nights along the Acadian shore were memorable in terms both practical and personal. We learned important lessons for riding unfamiliar and challenging terrain. We rediscovered the forgotten link between woodlands seclusion and serenity. And Delcia was warmly and gently reassured that, Thomas Wolfe notwithstancing, you can go home again. 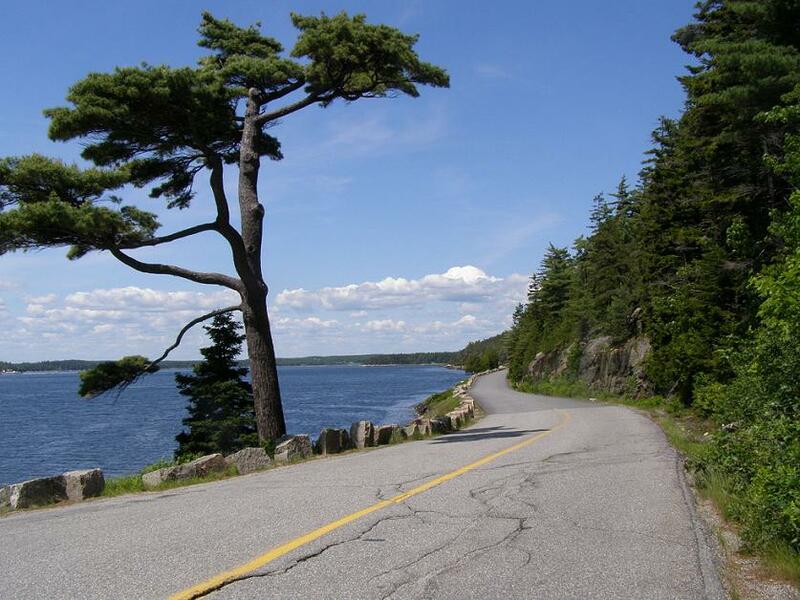 Miles of scenic roadways await motorcyclists along the coast of Maine.